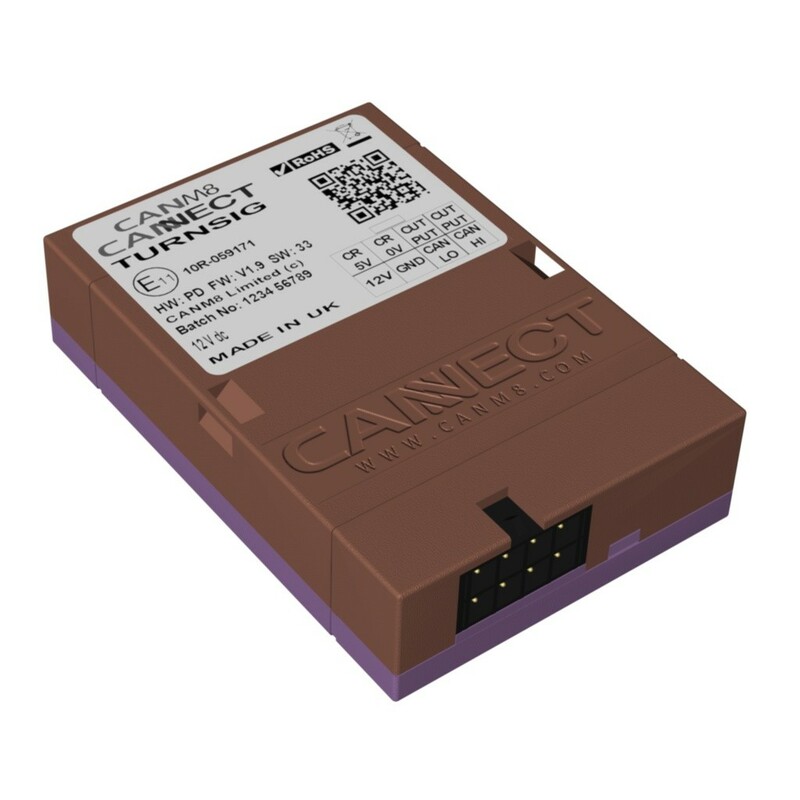 The CANM8 CANNECT TURNSIG is a CAN Bus interface that provides a smooth 12v output from both left and right indicators on vehicles which feature CAN Bus wiring. The CANM8 CANNECT TURNSIG interface is ideal for connection with auxiliary equipment and telematics devices which require indicator activity information. Many telematics devices record a repeated "on/off" signal from the left and right indicators which can lead to large packets of unnecessary data being recorded. The CANM8 CANNECT TURNSIG interface will provide an output when the indicator is turned on and another when it is turned off, allowing for more concise data recording. PURPLE > Right Indicator Output : 12v (1A max) when the right indicator is active. BROWN > Left Indicator Output : 12v (1A max) when the left indicator is active.